Emed > Circulation and Heart > Trans Fats – Safe in Human Foods? 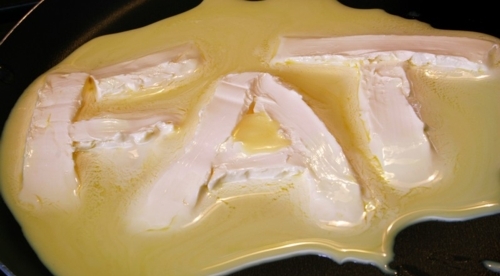 The American Food and Drug Administration (FDA) have ordered that American food manufacturers have three years to cease using trans fatty acids (TFAs). The American FDA have stated that TFAs or trans fats are not generally recognised as safe for use in human foods. Food manufacturers have been given three years, from June 2015, to remove partially hydrogenated oils (PHOs) from their products. From then onwards, manufacturers will require a special permit to use PHOs. In 2013 the FDA began to propose that trans fats were unsafe, following this, scientific review and public lobbying has lead to this decision. American manufacturers have had to list trans fatty acids on labels since 2006, which has already seen a significant decrease in trans fat content in American foods. In 2007 New York City implemented the regulation banning the use of TFAs from restaurants, retailers such as Walmart ceased to carry foods that contain TFAs, many margarine producers stopped using PHOs, and several large companies abandoned their use. The American FDA hopes this move will drastically reduce the instances of coronary heart disease, currently Americas biggest killer. Trans fatty acids were introduced into the American diet in 1911 in the form of hydrogenated vegetable oil or shortening used for cooking. These solid fats are created by adding PHO to liquid oils, bubbling them through. The resulting products such as margarine have an increased shelf life and enhanced flavour. In the 50’s and 60’s marketing campaigns encouraged the use of margarine and shortening advising consumers that eggs and butter were bad for them! A diet rich in TFA’s increases the risk of several conditions such as; increased body weight, heart disease, memory loss, raised LDL cholesterol leading to cardio vascular disease and Type 2 diabetes. The World Health Organisation (WHO) recommends no more than one percent of our daily energy intake should come from Trans Fatty Acids. Where does Australia stand with TFA’s? Monitoring of the average Australian diet indicated that 0.5 percent of our daily energy intake comes from trans fatty acids. This amount is well below the WHO recommendations and much lower than the average intake in other countries. Currently Australian food manufacturers are not required to declare trans fatty acids in the Nutrition Information Panel on food labels unless their food packaging makes a claim relevant to the fat content of a product. For example, if a product claims to be high in omega 3 or low in cholesterol etc. a breakdown of the fats included will need to be stated on the Nutrition Information Panel. In December 2014 Food Standards Australia and New Zealand (FSANZ) put forward a recommendation for a labelling review to include TFAs, recommending “mandatory declaration of all trans fatty acids above an agreed threshold” be introduced in the Nutrition Information Panel. This recommendation was considered in January 2015. Minister response deemed that due to Australia and New Zealand having an average TFA intake lower than WHO recommendations, that this mandatory labelling is not warranted. The American FDA want o supply the US with the “safest food supply possible”. It’s great to see food authorities stepping in to ensure foods are actually safe for human consumption, especially with a goal to reduce the number of cardiovascular related deaths. In this particular instance we hope that America does lead the way so that Australian consumers can be confident with what they are eating. Australians should be aware of the FSANZ guidelines regarding TFAs so that they can make informed choices about the foods they and their families are consuming. Whole and fresh foods are always best! If in doubt ditch the fancy packaging and eat foods where the only ingredient is the food itself.